2018 was one of those years that started off great – then the last six months I had a heck of a time keeping my sh*t together. Not something I am really proud to say, but I’m sure you’ve been there before too, right? 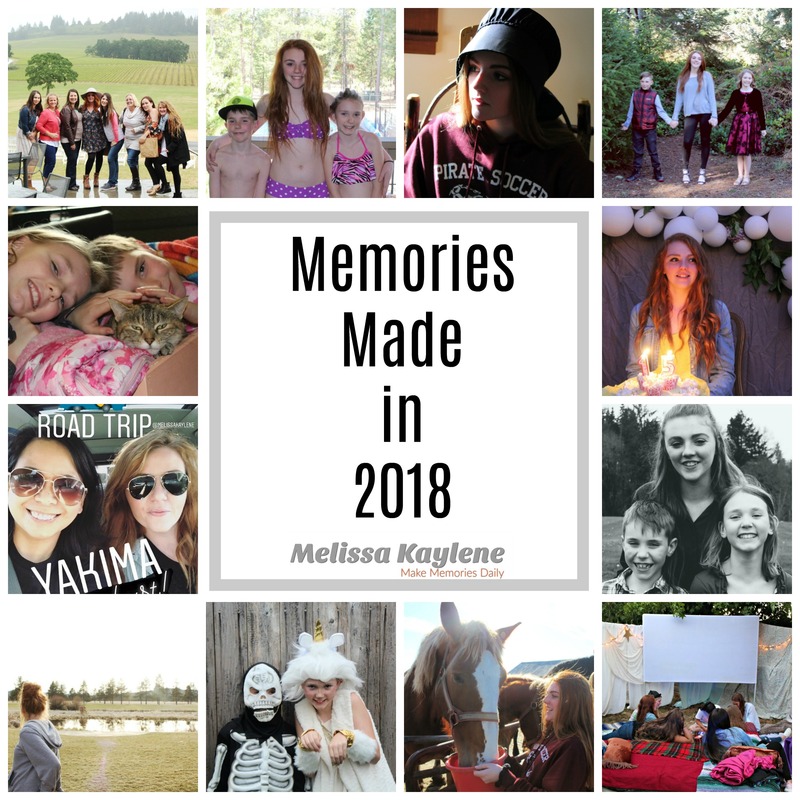 Here are some of the memories I shared with you on Melissa Kaylene. With that being said, every year for the past several years I’ve written a recap of the previous year. 2018’s review may be slightly different. However, I still wanted to highlight some of the best moments that I shared on here. In January I spent the afternoon with the kids watching the Puppy Bowl and Super Bowl. We literally sat around all day, played board games, watched the shows, and ate lots of food. To be honest, I’m not a huge football fan at all, but I’ll jump at a chance to create a day to celebrate with my kids whenever I can. Well my friends, the Big Game came and went. While our household doesn’t obsess over football, I still enjoy watching the game (and the half-time show). I enjoy any excuse that I can to make some fun little memories with the kids. Since it was just the five of us we kept it really low-key and made a little party spread. I cooked a few things, bought a few snacks, and set everything out on the table for us to nibble on. I really enjoy any excuse to do this really, it’s like a casual lunch/dinner buffet. My husband Wayne went to work for a few hours in the morning, so I spent the earlier part of the day cooking and watching the Puppy Bowl with Emma and Noah. They really got into it! We each picked a team to root for and they made sure that our cat Smores had the best seat in the house for the kitty half-time show. It was pretty cute and quite funny. 2017 Challenged me in many ways both personally and professionally. While I didn’t mention many of my personal challenges on here last year – I was in the thick of it. January started off well as we hosted an art party in our small house for Emma’s 9th birthday. 20+ kids all learned how to paint their own beautiful horse and got to take it home with them. We also had lots of snow in January, which made for a few fun snow days at home with the kids. Why hello my long-lost friends. Some time has slipped by and I found my summertime schedule so busy that I didn’t have time to hang out on the internet very much, let alone share anything with you. That will soon change though as we roll into the fall. I have a lot of fun and exciting things happening on the website soon! Last month was the Yamhill County Fair, and, for the past four years it’s been a place where we spend a lot of time. Anika once again showed a lamb during the fair, which entails a whole lotta work. If you don’t know anything about it (like me before she started) check out the post I wrote about it after our first adventure there. Anyways needless to say I spend the majority of my days and nights running back and forth to the fairgrounds. We got extra lucky this year with 107 degree weather two of the days, which is almost unheard of for Oregon. Sometimes I feel like I’m out of the loop when it comes to many things. Yes, I get to attend great events and see lots of performances, however, that doesn’t necessarily mean that I know the details of what I’m about to view. Perhaps it’s because I grew up in a very rural county four hours away from a city, or because I was raised very conservative home that lacked funds for outside entertainment. Whatever it may be, there are a lot of pop culture things that I knew nothing about growing up, and am only now in my 30’s having the opportunity to experience them. One of these happens to be the Broadway show Rent. I met a friend last week and went out to dinner and enjoyed some much-needed cocktails and sustenance while we catched each other up on what had been going on with our lives. We left extra early because we were worried about protesters in Portland and possible delays on our way to the Keller Auditorium. Luckily we had no problem what-so-ever getting there and actually arrived extra early, so we sipped on a beverage and grabbed our tickets to see Rent. Now, I’ve had some amazing media seats in the past to view the Broadway performances that come to the Keller Auditorium, but my friend and I were in for a treat – as we were both surprised with front-row tickets. It happened last weekend. My firstborn turned 13. Thirteen is such a milestone number, a new page in the parenting chapter – and a reminder that your days of creating childhood memories are becoming shorter and shorter. For the past few years now I’ve thought about how I would feel when I found myself a parent of a teenager. Perhaps it was the pre-conceived notion in my head that parents of teenagers are old and tired (Old? No. Tired? I think so) that led me to wonder about it. I didn’t know whether I would feel happy that I had made it this far on the parenting journey without major hiccups, or cry my eyes out because…well, I blinked and she turned 13.